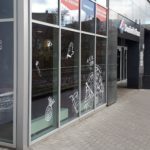 “The opening of our 50th store is a major milestone for Domino’s Pizza in Poland, a milestone that we are celebrating with promotions across the store estate. Store #50 is located in Olsztyn, a town with a population of some 170,000, 200km north of Warsaw. We are now present in 21 Polish towns and cities, ranging from the capital city Warsaw, with a population of c.1.8m, to towns of 100,000. We have 4 further stores currently under construction. Our second commissary that came on stream in August is fully operational and is supplying a large proportion of our stores. Our expanded commissary capacity has the potential to supply up to 150 stores. 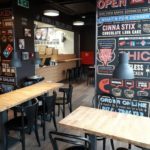 DP Poland, through its wholly owned subsidiary DP Polska S.A., has the exclusive right to develop, operate and sub-franchise Domino’s Pizza stores in Poland. 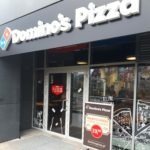 There are currently 50 Domino’s Pizza stores in 21 Polish cities, 26 corporately managed, 2 under management contract and 22 sub-franchised.